Two comfortable- with- themselves, thirty-something’s, who have been together for 12 years, have decided to get married. In his no nonsense kind of way, Tyler wanted to address right off what he called the “the elephant in the room”, their slower than traditional timing. He said they both have felt as if they’ve been married all along, hence the lack of urgency. A wedding now is more about confirming what they’ve known, celebrating with family and friends and the next step in starting a family. I found myself liking these two, their realness and their unquestioned knowing about belonging with one another. Not in a fairy tale, “everything’s been rosy” kind of way, they were both quick to clarify, but with the way life is, sometimes hard and sometimes easy. As Molly said, “we’ve just never gotten tired of each other”. As officiate of their upcoming wedding here in Sayulita, I am grateful to get a clear sense of who they are together so that their ceremony is intimate and authentic. As they shared stories about their history, I found myself reflecting on nature. How an oak doesn’t ask in the midst of a sunny day, “should I grow or do something else?” I felt that they, too, over the years, had kept doing what was natural, supporting each other’s best selves. And like the oak, deeply rooted, seasons changed, they finished educations in different states, took right jobs which required being apart for periods of time, yet never lost who they were together and the connection that they both relied on. In Tyler’s words “Molly always made me feel more whole”. As I listen to them collaborate on their wedding I see how these two know their own true natures as individuals and as a couple, what feels real to them and what doesn’t. Being an “already married couple” they’ve figured a few things out. And as with most couples who have learned how to love unconditionally, the presence of kindness is palpable. At one point stating that they both appreciated poetry more than scripture, I suspected that even my virtual sitting here with them tonight was also not by accident. Being with Molly and Tyler reminds me of another experience here in Sayulita on the bay. 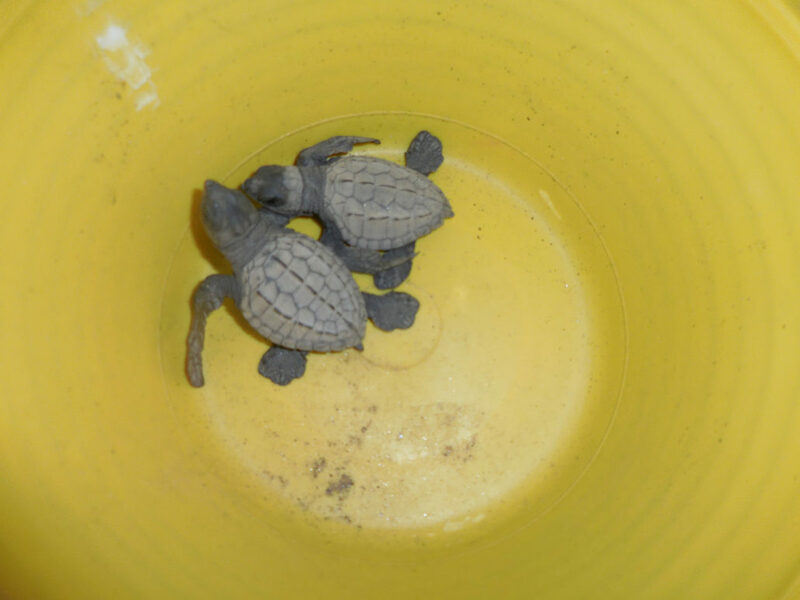 A committed organization in this village helps to save the sea turtles from becoming extinct. Every year between June and December a dedicated group of volunteers rescue sea turtle eggs from the hands of poachers and then bury them in a safer place where they can hatch. The babies are then returned to the sea where they belong. Releasing the infant turtles has become a beautiful community event. At 6pm every night locals, children, nightly regulars and some curious tourists line up on the beach ready to free the lucky survivors. The first time I participated I was touched in a way I couldn’t articulate, something so deep, so primal had its way with me. I watched these small bodies crawl directly towards a home they’d never seen but knew without question. Nature is only itself. Tonight I go to sleep reflecting on both of these experiences, meeting Molly and Tyler and a poem I wrote last fall after releasing sea turtles. I think you said it simply, Molly, we all want what “we never get tired of”, what is so natural that it is not based on an intellectual process but a recognition of home or belonging. I think of it as our divinity. We continually arrive by shedding what isn’t true. For, as human beings, unlike nature, we have the option of denying our true natures. But belonging sheds nothing. It just is. But I have no pure connection. Two sea turtles are my inspiration tonight. Zigzagging, but never off course. And they knew as life. Is unclear and harder yet to write. But I will never stop trying.